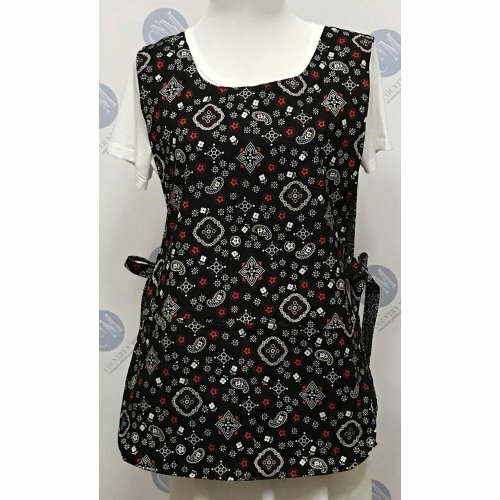 Step back in time with this retro look paisley floral cobbler apron, The reversible cobbler apron features a small red flower, white paisley floral on a black background. The black background really brings this print to life. 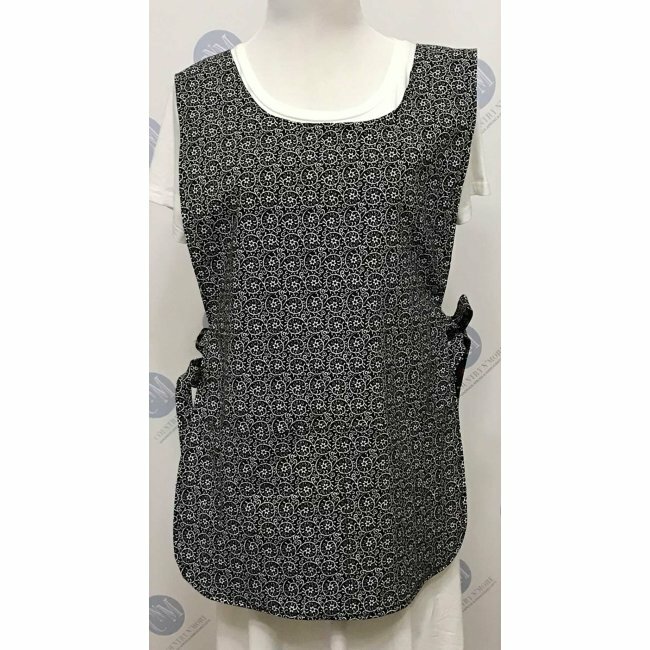 For the reverse side, we chose a black with white floral print. 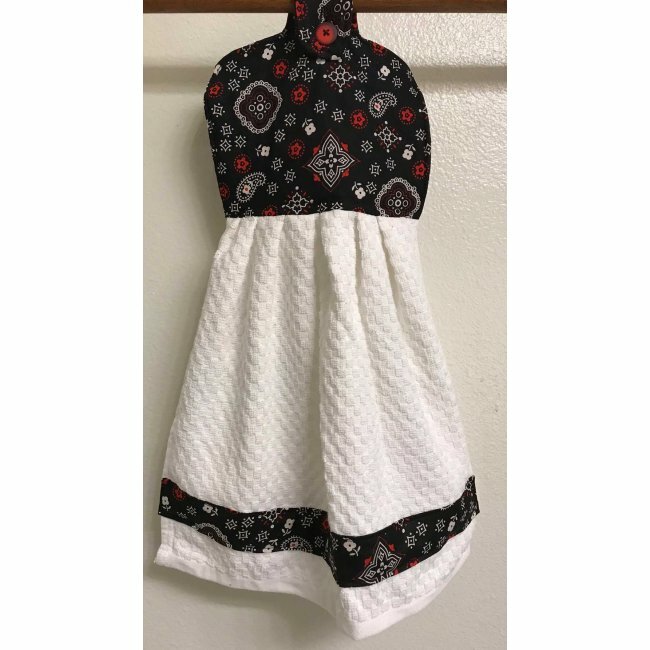 As am added bonus, this beautiful cobbler apron comes with a coordinating oven door kitchen towel. We used a high absorbent towel to create this set. The half towel has the paisley print for the topper, with the same print used as a trim on the bottom of the towel.